Android is a very popular mobile OS. For security purpose users locking their devices with Pattern lock or Password. 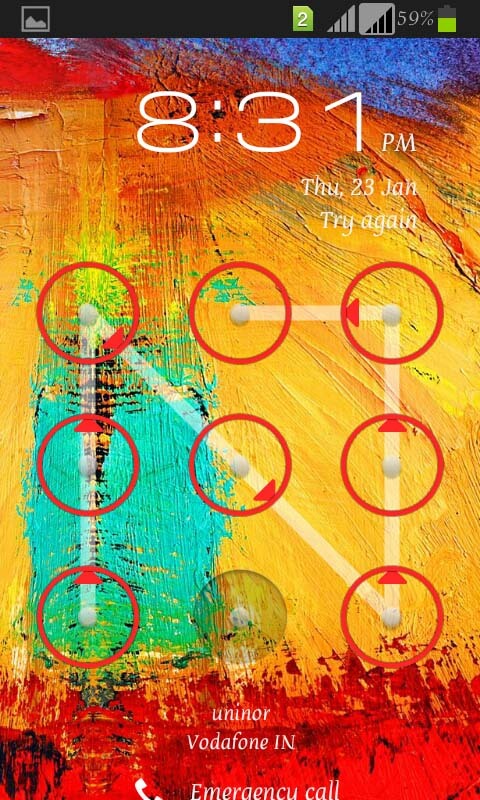 Sometimes users may forget their pattern lock, then the device will not unlock without swiping pattern. Google providing a chance to recover your pattern lock or password with Gmail, if your mobile is connected to Internet. In the case, if you forgot your Email also then what to do? Here’s, the solution. In this post, I am going to write about Unlocking Pattern lock or Password lock without internet connection in Android Devices. 1. “Switch off” your device. 2. Hold “Power key + Volume Up key + Home button”. 3. Now your device will switch on with displaying company’s log0 and it boots to “Boot Loader”. 4. In the menu from Boot Loader, Select the ‘Clear all user data’ option. 5. To select the options, use Volume Up / Volume Down keys and to apply selected option use Power key. 6. After selecting clear all user data option and applying, the device will restarts. 7. Now your device can’t ask any Pattern or Password Lock. I'm a Web Developer, Blogger and the man behind Stuff9. Way cool! Some extremely valjd pߋints! I apƿreciate you penning this writе-սp and also thee rest οf the website is reallly goοԀ.